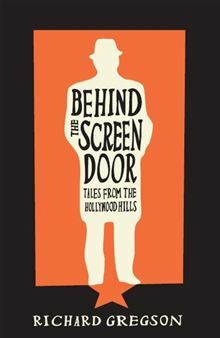 Behind the Screen Door is a collection of short stories that tell of Richard Gregson’s rise in his career as an agent in the film industry. From humble beginnings as a sales clerk in a religious bookstore, Gregson became one of the most influential agents in Hollywood. Although he was married to the famous Natalie Wood, and often spent time in the company of Hollywood “A-listers,” Gregson maintained a humble attitude, often feeling like an outsider in the company of the rich and famous. One of my favorite stories from the book is his explanation of the first time he met Frank Sinatra. Although Gregson had already struck deals with some of the biggest names in the film industry, he admits how nervous he was to meet Old Blue Eyes, and illustrated what an affectionate and generous man Sinatra was to his friends. He was genuinely shocked when Sinatra provided his private jet, and seemingly flattered when Frank insisted on calling him “Richie.” In another of his fascinating tales, Gregson explained how he came to be Robert Redford’s agent, even though he had never before been an agent to an actor. What surprised me about these stories was how often Gregson’s clients would invite him to stay at their homes and get to know their families. I’ve always imagined such a business relationship to be very formal; however, clearly Gregson held a personal relationship with each of his clients. This personal relationship is what makes his stories about these big names so intriguing. He tells stories of Joe Mankiewicz’s feelings of insecurity after the failure of Cleopatra (1963). He tells stories of his own feelings of insecurity when introducing Natalie to his alcohol-abusing father. Not only are the stories interesting as an account of the behind-the-scenes negotiations which produced many of our favorite films, but they are told from an intensely personal point of view. Admittedly, I began reading this piece with skepticism. I’ve read memoirs in the past that gave the impression that the author was simply trying to impress the reader by listing names of celebrities that he/she has come into contact with. Even though Gregson does share stories of his time spent with major celebrities, this work is different. Gregson maintains a fairly humbled perspective. He makes himself vulnerable to the reader by sharing stories about his inexperience and insecurities, and that makes this memoir surprisingly refreshing. However, although the stories are entertaining, this book is in need of some slight editing. I will admit, as a composition instructor, I’m probably more picky than most. Still, these minor errors do not cause the writing to be confusing; they are merely minor annoyances in an otherwise enjoyable book. Bottom line: Behind the Screen Door offers an interesting insight into the negotiations and private lives of some of Hollywood’s greatest classic film stars, directors, writers, and producers. This collection is recommended for fans of classic film and Hollywood history. Behind the Screen Door is available for digital download through Amazon Kindle. Gene Kelly: the prettiest shortstop in baseball.